Jesus oversees his church and entrusts leadership of local congregations to elders. Mike was born and raised in sunny Florida. His parents were faithful to involve their family in th e local church and as a result the Lord saved Mike in the summer following his seventh grade year. He attended The Baptist College of Florida and received a B.A. in Christian Education, and later The Southern Baptist Theological Seminary receiving an M.Div and D.Min. 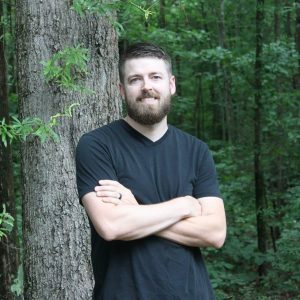 Mike served on staff in Waynesboro, GA, as a youth pastor for 8 years prior to joining Sterling Park Baptist Church in Sterling, VA as a church planting resident in 2015. Mike, along with a team of faithful brothers and sisters in Christ, planted Redeemer Baptist Church in 2016. Mike is blessed to be married to his best friend Carrie and the Lord has graced them with two amazing children: Abbie and Caleb. Chad was raised in a professing Christian home, though he himself didn’t actually become a believer until he was in high school. Like many, he had grown up assuming the faith, rather than truly believing it. Once the Lord saved him though, his life trajectory was completely changed. After high school he went to Christopher Newport University where he majored in Fine Arts, minored in Religion, and was involved in a campus ministry known as Inter Varsity Christian Fellowship. After graduating, Chad began a career in Architectural Millwork, which he continues to do vocationally today. He loves to design and build fine furniture, which he would describe as functional art for everyday life. He is married to Laura and they have 3 wonderful children; Addison, Matthew, and Emily. They have been faithfully attending Redeemer Baptist Church since early 2017.